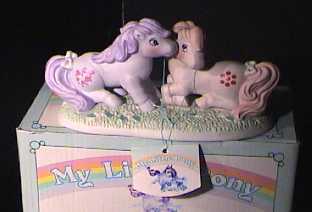 Lofty's Plush Paradise Ceramic Page- Featuring Hasbro Softies and other plush My Little Ponies! 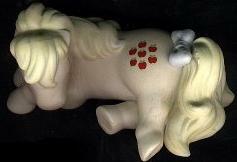 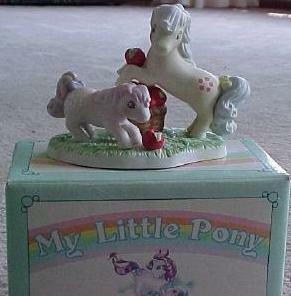 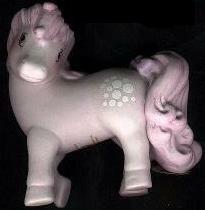 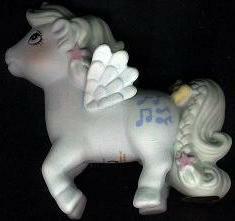 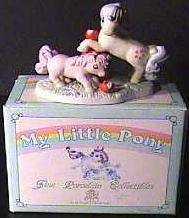 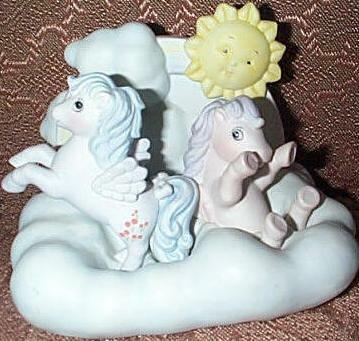 In 1985 the company Extra Special with licensing from Hasbro came out with My Little Pony ceramic figures. 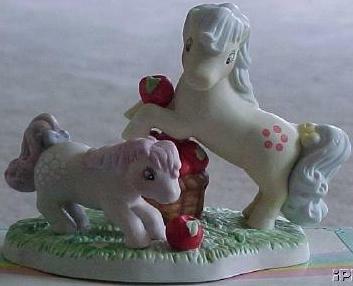 There are believed to be 22 figurines in all plus one special offer. 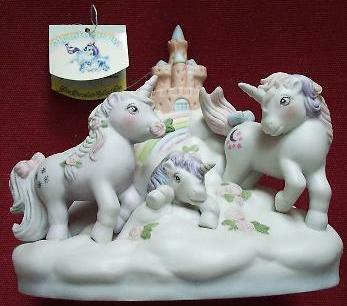 First Born was a special offer pony who was a free figurine with the purchase of 2 others porcelain MLP'S She had a rainbow sprawled across her fanny and the words "My Little Pony" as well. 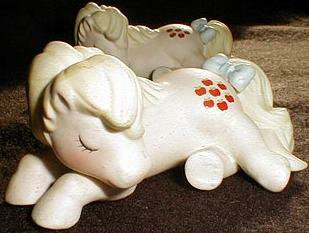 There are individuals ponies and scenes involving more than one pony. 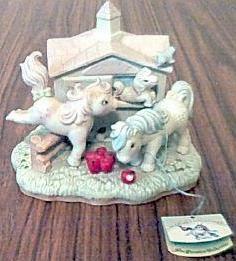 Each figure is marked with a gold horseshoe on the bottom, and an item #. 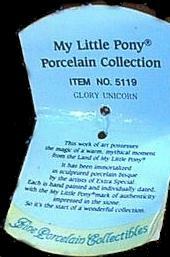 They also came with paper tags. 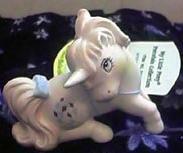 Below are the names, item numbers, and pics as best to my knowledge. 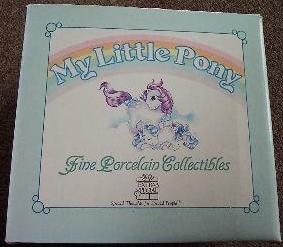 I will update when I have more info. 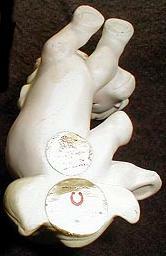 #???? 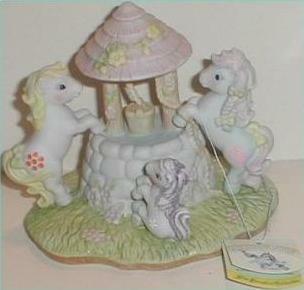 Waterfall with Blossom & Pegasus Cherries Jubilee playing in the clouds.